Unilever CMO Keith Weed has called on agencies to up their game to meet the changing needs of brands. The "big challenge" for agencies, he said, is that "the world has moved very fast and in my experience, the agencies haven’t moved fast enough." Weed cited Unilever’s "people data centers" – operations that combine traditional consumer data with social media listening – which operate in 26 countries. "Agencies shouldn’t be enabling companies like ours to do that," he said. "They should be ahead of us; they should build that capability themselves and offer it to us as a service." 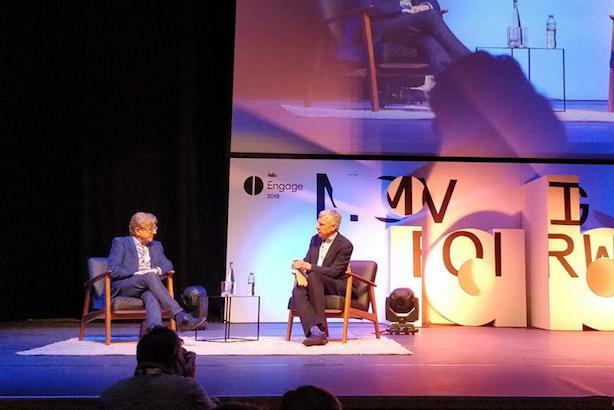 Weed was being interviewed on stage by IAB chairman Richard Eyre at IAB Engage in London on Thursday morning. The FMCG giant's top marketer also warned agencies were often failing to respond to the cost needs of brands, who are looking to produce "much more" content, but without a corresponding increase in budget. It was difficult to justify giving work to agencies that approach their cost model by saying "the cost of doing this is this," he said, when "you can develop an in-house capability, and say, well actually, the cost of dong this is this, minus 30%." Unilever launched in-house production unit U-Studio in late 2016, which now operates in more than 20 countries. Comparing agencies’ price offer to his own, Weed argued that consumers would be unimpressed if he continually changed the price of PG Tips to reflect the cost of production. "What I have to do is create a business model that’s the right price for consumers and then work back," he said. "If you tell me you can’t do it at that price, that’s absolutely fine – I’ll find someone who can," Weed added. Yet despite his combative language, Weed insisted that with the complexity of the consumer landscape, there has "never been such a good opportunity to build an agency solution" to help brands navigate that complexity.